Pick up at your hotel in Bordeaux and head to the village of Saint Émilion. The history of the village goes back to medieval times and the whole jurisdiction is classified as UNESCO World Heritage for its natural landscape. The village is made up of fascinating Romanesque churches and ruins stretching all along steep and narrow streets. 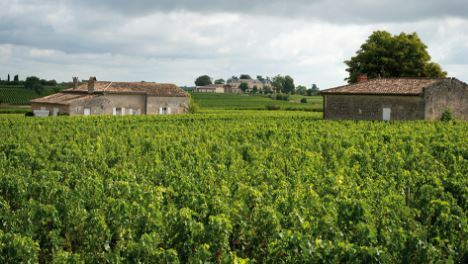 Concerning the wines of Saint Émilion, known as the right bank, the Romans were the ones who originally planted the vineyards as early as the 2nd century. Reminders of the Roman techniques of wine planting can be seen in some of the estates such as chateau Bellevue owned by world famous Angelus winery. The village was named after the monk Émilian, a travelling confessor, who settled in a hermitage carved into the rock in the 8th century. Arrive in Saint Émilion and enjoy a guided walking tour or why not book our exclusive private guided tour of the underground monuments of Saint Émilion including the monolithic church. Once the tour is over you have the possibility of joining a wine tasting session free of charge in the village.